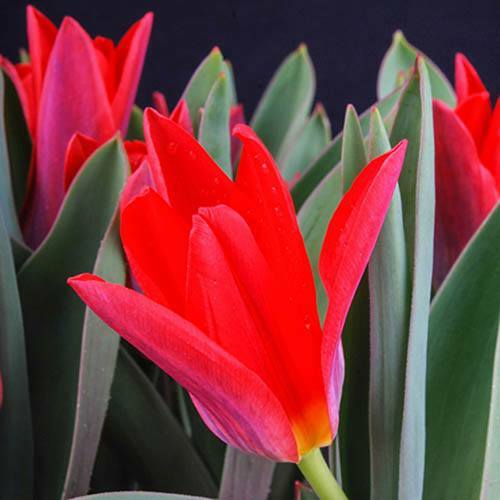 One of the most popular tulips with its scarlet colouring and dwarf nature. This miniature variety of Tulip makes a stunning addition to spring containers and rockeries in particular. Its scarlet colouring and dwarf nature, appropriately gives it the name scarlet baby, but also make them the perfect choice for filling in small gaps in beds and borders. Tulips are one of the most popular bulbs as they are perfect for planting with many different colour variations to give fresh, vibrant spring colour to your garden, patio or decking. They are also favoured for their ability to make great cut flower display indoors.